What’s more fun than a talking dog? Martha, the talking dog, certainly has an amusing view of the world. She also has a sneaky way of teaching a lot, given that she doesn’t quite understand the human world. Based on the PBS series, this is a collection of three stories, each by a different author. First, one of Martha’s human friends mistakenly uses a self-tanning lotion instead of her usual sunscreen. When she uses it to excess, her skin turns embarrassingly orange. To make her feel better, Martha talks all the other kids into adopting the same orange glow. And the friend feels better. Next, Martha learns of her lupine heritage and decides to become a pack animal. Her canine friends opt out when they find that comfort comes first: food, bed, and television. Martha returns to her pack, the other members of which are human. Last, Martha does her best to be endearing to her human grandmother, only to take several missteps. Martha can’t quite figure out an appropriate birthday gift. But Grandma recognizes her efforts and rewards her. 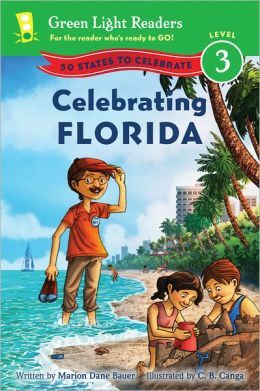 Not only are the stories fun and informative, the illustrations are winners too. The reader can feel like part of the action. 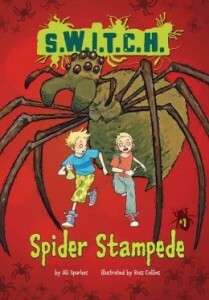 Not surprisingly, Martha Speaks books have tons of added value for second grade readers. In addition to the popular television show, Martha Speaks, the show has an excellent website, www.pbskids.org/martha, which is loaded with information for parents and teachers and reading activities. Martha also has her own website, www.marthathetalkingdog.com; and the publisher’s website (www.hmhbooks.com) is useful to help increase reading skills and comprehension. 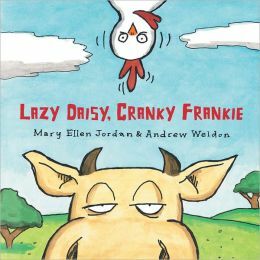 Funny farm animals and silly antics is what you will find in the book Lazy Daisy, Cranky Frankie. Imagine a farm full of animals doing nothing that animals should do. Cows eating jelly, rather than grass. Pigs pruning in a mirror, rather than rolling in the mud, and a dog, watching TV with attitude. Young children will find the story comical and reading out loud will be fun because of the rhyming nature of the book as well. Children will begin to expand their understanding of rhyming words and with some encouragement could explore other words that rhyme along with the story. 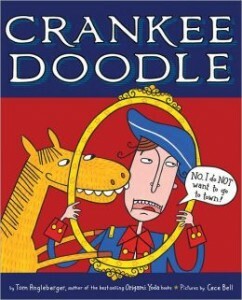 The illustrations will also be enjoyed by children, as well as being quite comical and funny to younger kids. Looking at the pictures, children could come up with their own rhymes or create new and funny twists to the story. Short and easy to read this is a good book for children with early reading skills or it could be used for slightly older children as a spring board to creating a new story or expanding on what is already written. Then what fun it would be to have children read aloud and share their new creation. In Josh Schneider’s book, The Meanest Birthday Girl, Dana, the main character, celebrates her birthday “doing what she likes to do,” because, after all, it’s her special day. Doing what she likes includes wearing her favorite birthday dress and eating her favorite breakfast. But, it also means calling Anthony names at the bus stop, pinching him, and stealing his dessert at lunchtime. After school, Dana continues her celebration with a birthday party that includes all her friends. Later, just before bedtime, Anthony arrives at her door with a gift, leaving the reader to ponder if Anthony was not invited to the party. His gift? A large, white elephant with bright tusks and toenails that just happen to be painted with Dana’s favorite color. Dana is elated with her wonderful gift and surprised that Anthony would present her with such a nice present after she’d treated him the way she did earlier in the day. Though Dana enjoys showing off her pet in the neighborhood, her excitement is fleeting. Her pet elephant eats Dana’s breakfast, causing her stomach to rumble on the school bus. That noisy moment invites name-calling from Gertrude, who calls Dana “Grumble-Guts.” Dana’s white elephant pet sleeps in her bed, requires much exercise, eats too much, and even crushes Dana’s bike. And, meanwhile, Gertrude continues to taunt Dana with name-calling, mud ball throwing, and dessert stealing. 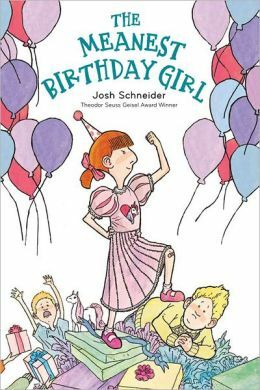 Schneider’s humorous and a bit preposterous story about a white elephant gift read aloud to a second grade class opens the door for a discussion about bullying. Many children can relate to name calling and possibly, pinching or pushing and shoving, and maybe even snatching food or toys. Children might also relate to being excluded from a party or other play activity.